Abby's class Christmas party was the morning of the last day before winter break. 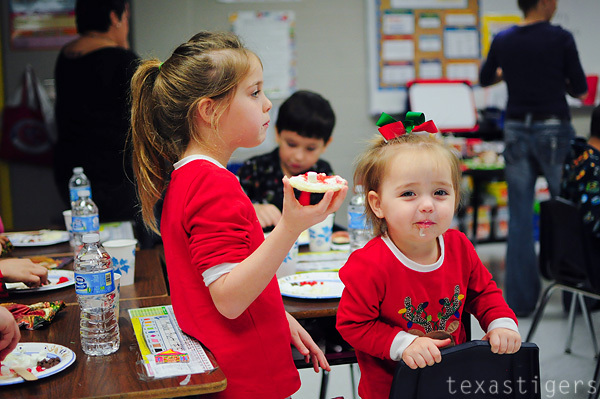 At her school Christmas party day is also pajamas, hot chocolate and watching the Polar Express day. Her party was also really early in the day - at 9:30 so Lexie and I headed over to the party after dropping Micah off. 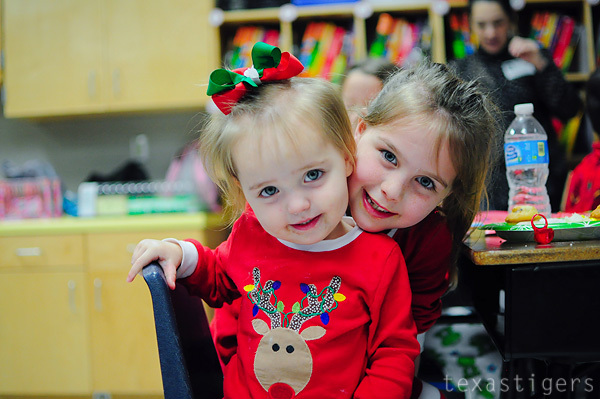 Since it was pajama day, I figured why not Lexie go in her pjs as well. 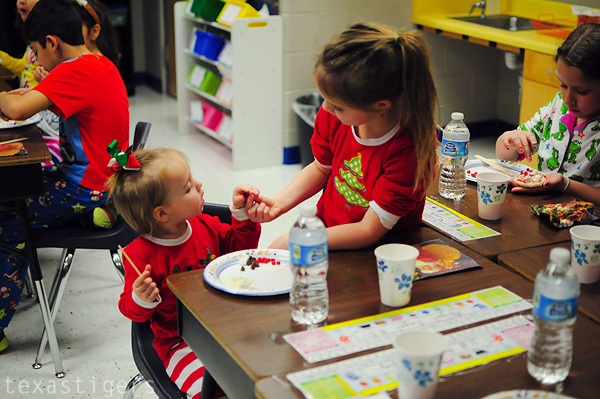 Lexie was very excited to see big sister at school and Abby was ever so sweet to give up her chair and let Lexie sit in it. 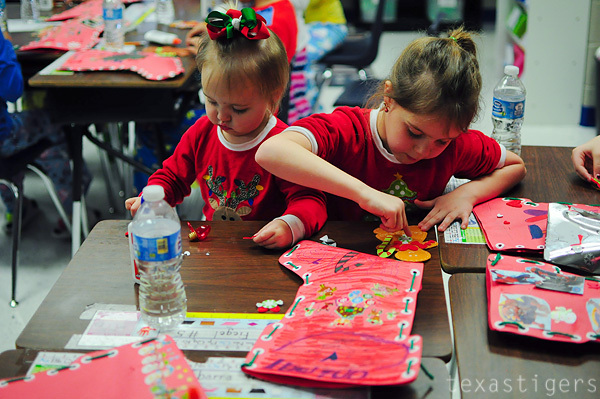 After lots of donut, fruit, cheese, and cupcakes, everyone passed out stocking stuffers to each other in their stockings that they made. 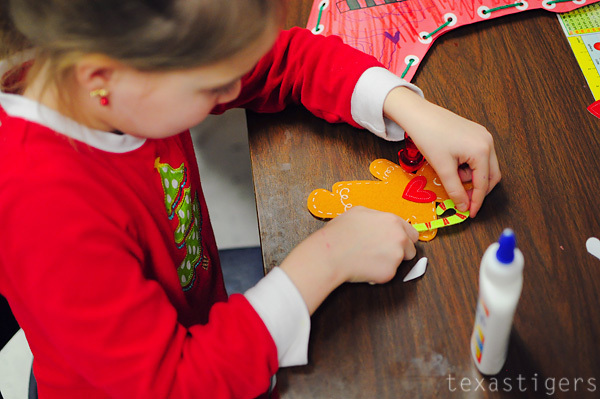 Then it was time to decorate gingerbread men and women. 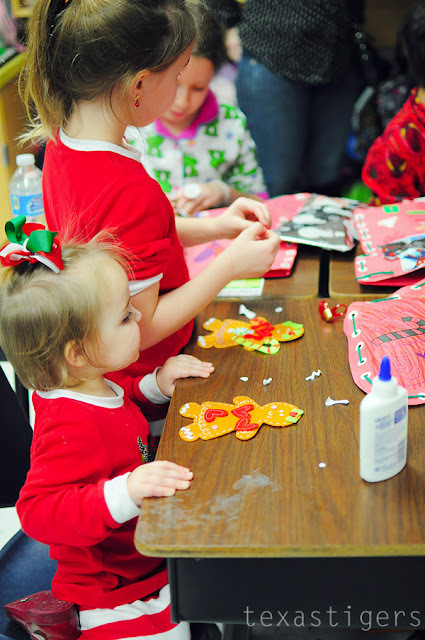 All the kids seemed to love this craft and Lexie was able to join in and decorate one as well.